Set amid the idyllic greenery of Kuusisaari Island, the magnificent Villa Gyllenberg is one of Helsinki’s most beautifully situated museums. The historic 20th-century villa is the home of art collectors Signe and Ane Gyllenberg, and their impressive private art collection opens it doors to the public two days a week. Inside, the gallery boasts around 400 pieces, mostly from Finnish artists and including everything from 16th century works by the old masters to modern art dating back to the 1970s. Highlights include Isak Wacklin’s Portrait of a Man, a selection of surrealist paintings by Juhani Linnovara, and a collection of around 30 Helen Schjerfbeck works. The Villa also hosts temporary exhibitions and classic music concerts. 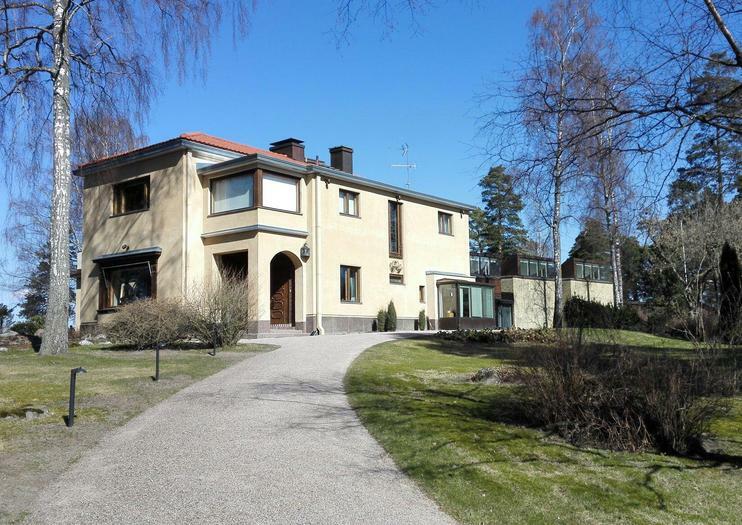 Villa Gyllenberg is located on Kuusisaari island in central Helsinki and is open Wednesdays from 4pm to 8pm, and Sundays from 12pm to 4pm. Adult admission is €10. Explore Helsinki at your own pace and save money as you sightsee with the great-value Helsinki Card or Helsinki Card Region. Buy a 24-, 48- or 72-hour card and simply show your card to enjoy free public transport around the city (and in the whole metropolitan area with Helsinki Card Region), plus complimentary admission to many of top Helsinki museums and attractions, including the stellar Ateneum art gallery and Suomenlinna Fortress. Add a free audio city tour, a complimentary guidebook and map, plus valuable savings on tours, meals and other experiences, and it’s an excellent way to make the most of Helsinki.